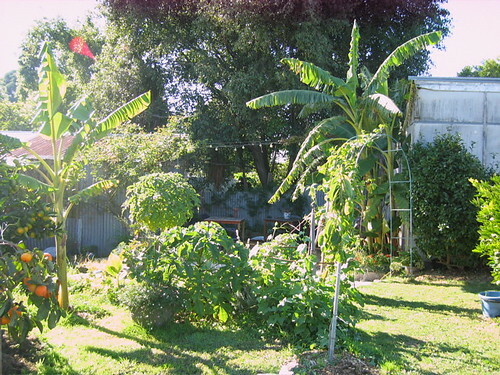 The banana is part of Gary’s sub-tropical collection.We grow a few sub-tropical fruits in our garden. We occasionally get frosts but most things survive. 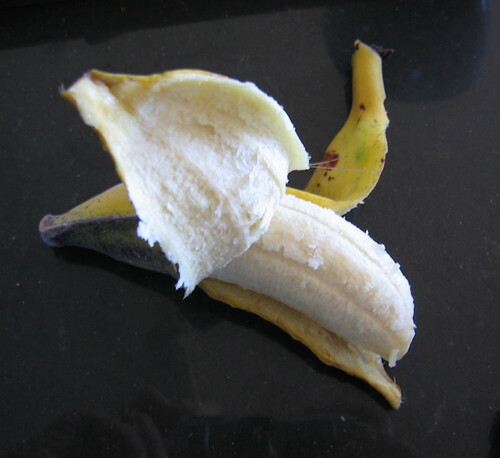 The Hamoa is a ladyfinger banana, also known as Silk and Apple, with a fruity flavour. Our clump has been established for about 3 years. The original plant was in a pot for about a year before we decided where to plant it. Gary made a bed for it at the back of a large shed that borders our courtyard. 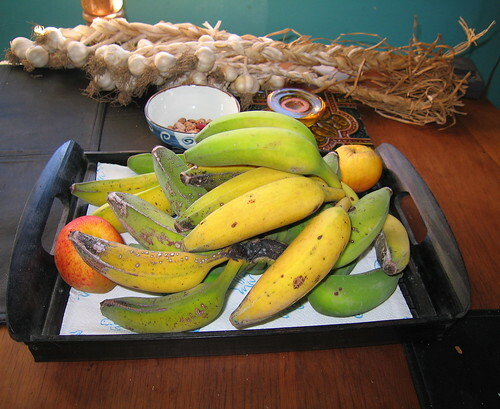 We had our first crop of bananas ripe in April 2010 and have just started harvesting the second crop. The plant has just produced a new flower. 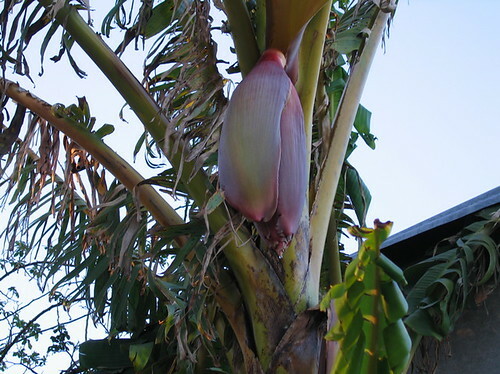 We don’t know how successfully this one will friut because it has appeared in autumn, whereas the others have been spring flowers with fruit developing over the Summer. This planting is in the Orchard garden . 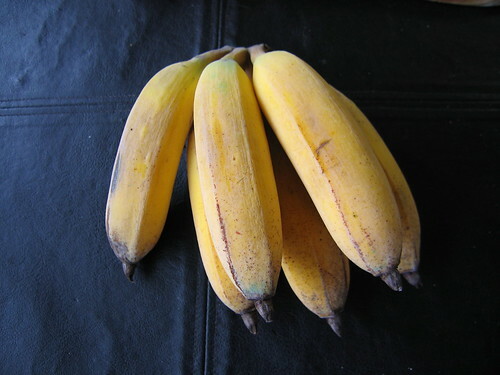 These bananas developed in autumn. We left them over the winter and started harvesting them in early summer.